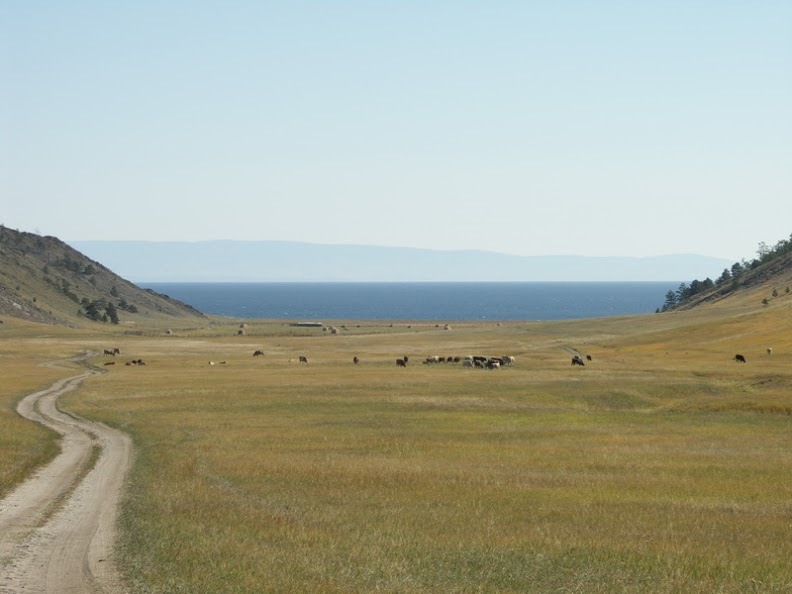 This tour is recommended as a main tour or combined with OLKHON ISLAND TOURS. Also, you can take Krestovka tour and continue to Olkhon on your own (or with my assistance). You’ll be picked up at my hostel or any other place in Irkutsk at 10am. Vehicle: a 8 sit minibus or a car. Our first part of the journey is a drive through vast open spaces – so called Buryat Steppes – where we eventually can see herds of caws and horses on green fields. After good lunch, cooked by the host lady, we take 2 hr walk to the lake and the hill nearby. Walking to that hill reveals how good you are for our tomorrows 12 km hike. Great final accord of the day – authentic Russian Banya / Steam Sauna. Retuning by road to Irkutsk by 2-3pm. Stop for a cup of coffee (not included). private car (and driver) transportation, 2 night accommodation, meals as noted (day 1: L, D, day 2: B-L-D, day 4: B) , local guide-interpreter services, no hidden costs.